When you sponsor a child at FEJ's creche (orphanage), you are helping to provide the food, medicine and loving care that all children deserve. Your commitment is $100/month per child (payable monthly or annually). FEJ staff will provide you with at least two updates each year about the child you are sponsoring. 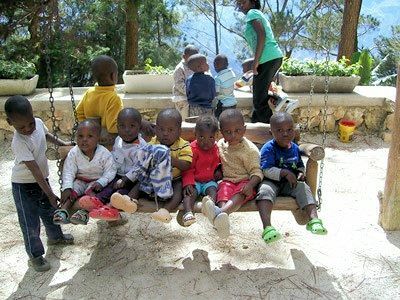 As a sponsor you are also welcome to come to Haiti to visit the creche and meet your sponsored child.